Ask Shelby—Give it a Try! 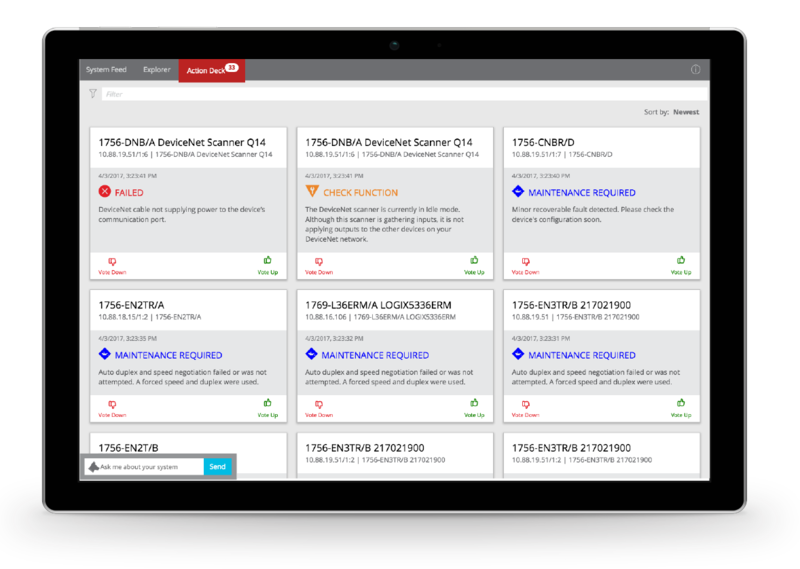 FactoryTalk Analytics for Devices is a combined suite of data tools you need on the plant floor. 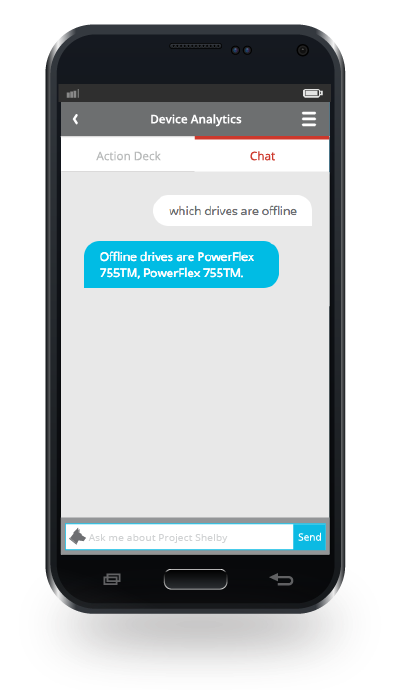 Ask Shelby, your personal chatbot assistant, need-to-know questions from the number of drives online to which devices have faulted. 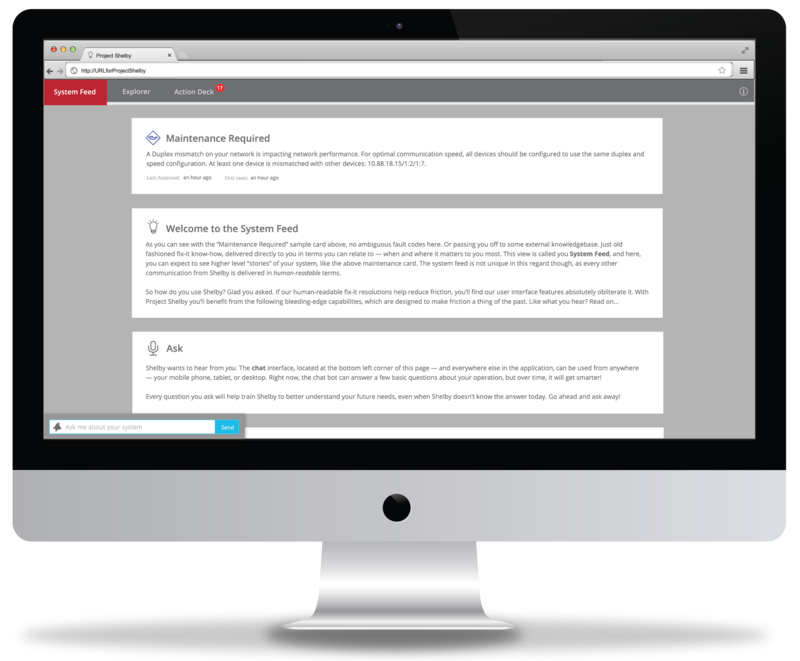 Enabled by Aware Automation™, your feed on FactoryTalk Analytics for Devices gives you an overall view of the health of your system —and warns you when something goes wrong. Combined with easy-to-read dashboards and action-oriented condition notifications, this system has been tailored to give you deep-level insights that keep you informed about your devices and help you resolve any issues. Whether you’re interacting from your phone or computer, this application has all the answers you need, everywhere you need them. Get the latest updates on the health of your system. Using your System Feed will notify you about insights such as duplex mismatch, speed mismatch, and system updates. Shelby will answer them. Shelby’s chat interface can be used from anywhere—your mobile phone or desktop. Shelby can answer everything you need to know about your plant floor—from which devices are online to how many devices have faulted. Every question you ask makes Shelby smarter—so even if it can’t answer your question today, it can learn for the future! 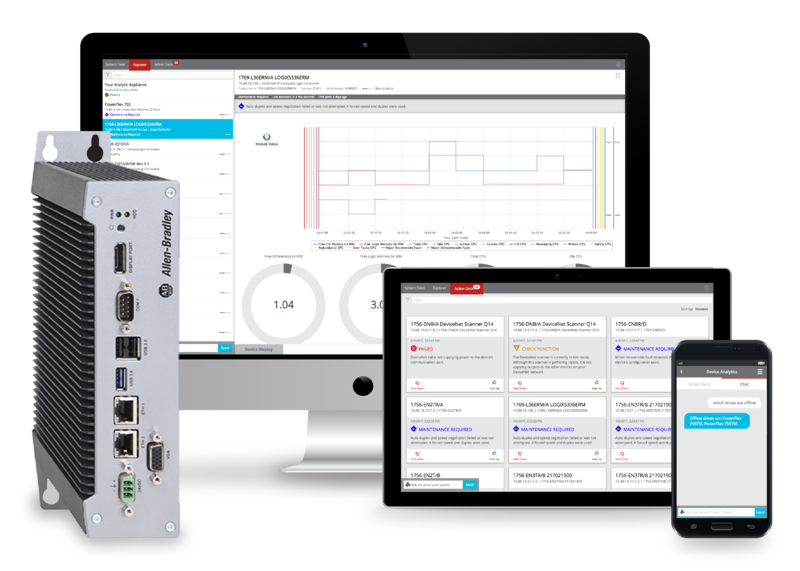 Understand the performance of your devices in one comprehensive view. Your Explorer view gives you clear dashboards for all your devices, letting you know when your devices are running smoothly and making you aware when you need to make some adjustments. 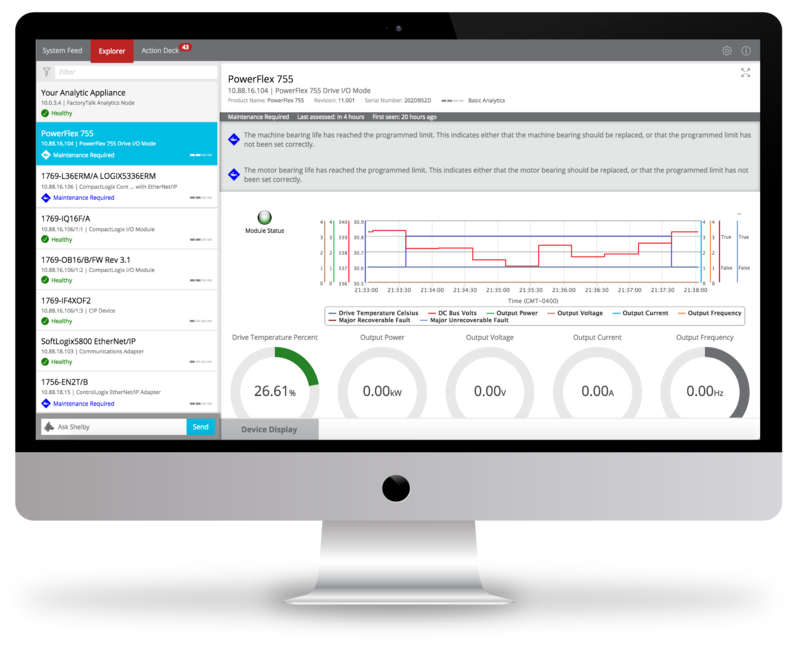 By aggregating the data of your system, these dashboards also help you understand the performance of your devices over time. Take action on your devices when they need your review. Your Action Deck complies a deck of actions for you to respond to—swipe right if they’re important, left if not. Shelby will learn over time what’s most important to you, and serve up cards based on your preferences. Shelby is available now! Through our online ordering system, you can purchase a Shelby appliance with your local distributor. If you want to learn more about Shelby, a member of the team would be happy to give you a demo or answer any questions you have! Copyright © 2018 Rockwell Automation, Inc. All rights reserved.